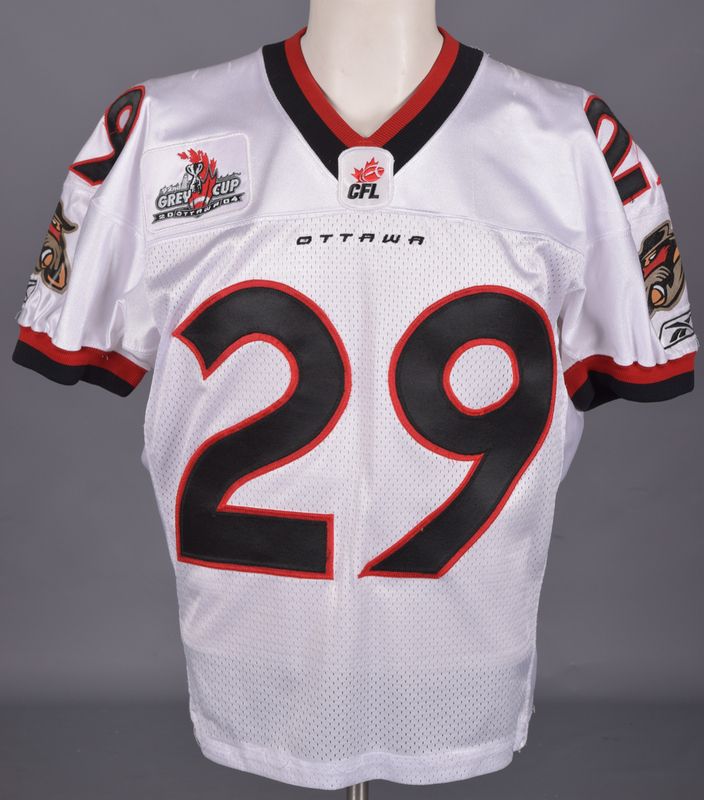 Lot Detail - George McCullough's 2004 Ottawa Renegades Game-Worn Jersey - 2004 Grey Cup Patch! 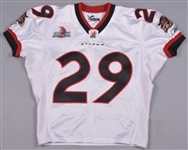 George McCullough's 2004 Ottawa Renegades Game-Worn Jersey - 2004 Grey Cup Patch! His final pro stop after time in Tennessee and San Francisco, George McCullough spent three seasons in the CFL, all with Ottawa. We have a Renegades jersey that was worn by the Galveston native in 2004. A year/size swatch of “03-44” graces the collar, with the garment recycled for McCullough’s use. The Puma label on the reverse neckline has been covered by a Reebok crest, with additional examples over each sleeve. With “29” in tackle twill over the sleeves, front and verso, the important 2004 Grey Cup patch resides just above the right breast, with evidence of a removed patch from the left breast (most likely a Molson Canadian Light patch). With just a few scuff marks over the shoulders, the jersey remains in wonderful condition.